With the summer holidays about to happen and the halfway point of the three year transitional period for the MDR on the horizon, let’s take stock of where we are. If you are a manufacturer and have just started thinking about this MDR or IVDR thing, you are in a bad place. Maybe you have a very limited number of devices that are subject to little change under the MDR or IVDR. In that case, count yourself lucky because you’re a happy minority. You may still have enough time to remedy your devices for MDR compliance in time. Consider the EU version of this conference in Brussels 18-19 September and if you’re in the US, go to the Advamed MedTech Conference in Philadelphia 24-26 September to be informed by the EU panel. Manufacturers can be found on a spectrum of urgency with MDR and IVDR implementation, ranging from catatonic denial / merry Titanic orchestra behavior to angry with the process to making this a historic opportunity to out-comply competitors. 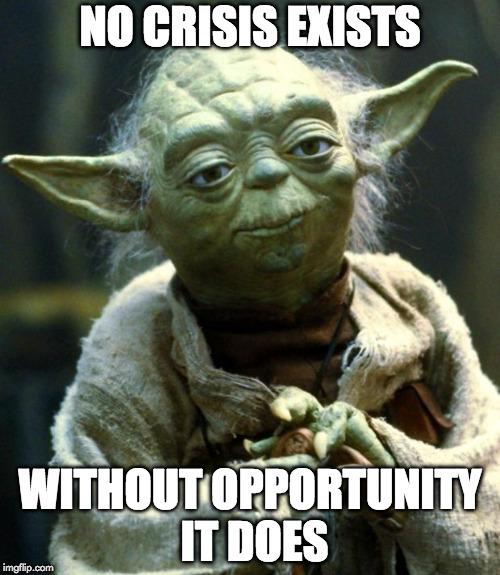 I see management just incapable of looking more than three months ahead and underestimating things monumentally, with Regulatory Cassandras leaving the company or pining away trying to complete an under-resourced MDR or IVDR project. And why would you resource it properly as company – it’s only core business, right? I see also manufacturers starting to get in serious trouble occasionally when a notified body has their scope restricted or closes. They are suddenly faced with the need to find another notified body in a few months and find out that it’s not so easy to find a new notified body quickly these days. Most notified bodies that you would like to work with are stuffed to capacity and not taking new customers. Those manufacturers also find out that if their technical documentation is not impeccable they usually has some additional things (mostly lacking clinical evidence) to sort out before the new notified body accepts the transfer, and that this may add up to a period of not being on the market. If you’re a listed company these are things your shareholders will probably like to know about and that you will need to disclose publicly. Many manufacturers engage in homework practices similar to those of my twelve year old son: delay everything to the last moment and hope for a bailout if that turns out a bad plan. Is that a good strategy? That really depends who you ask. My son thinks so and normally there is a fair amount of cognitive bias in these discussions. People are not quick to admit that they might be better of leaving less to chance. As we will see below in relation to notified bodies, it’s a bad idea to push your remediation work and application for recertification for soft transition all the way back towards the date of application, because notified bodies have already started to indicate that they need the soft transition recertification applications in the door at least a year before the date of application. For the MDR, that is 8 months from now. That period may already be too short if you need to do significant remediation work (e.g. do an additional clinical study to get your clinical evidence up to standards of the newest version of the clinical evaluation MEDDEV). When the CAMD roadmap came out in end 2017 I was very happy and full of hope: a plan! A roadmap! A plan! So far it turned out to be a dot on the horizon as the external production of items set out in the Roadmap seems to have been stalled. Behind the scenes I hear that the competent authorities are doing what they can, but that development of these documents is a consensual process and they can only do one thing at a time as their resources are limited. I tend to believe the latter part. One of the issues plaguing the EU medical devices regulatory system has been the systematic under-resourcing by member states and the Commission of oversight of this industry. Guidance promised in the Roadmap is not forthcoming and the Common Specifications and implementing acts required for the MDR and IVDR to function have not been adopted so far. This under-resourcing is now proving to pose a bottleneck in itself for the development of all the CAMD items set out in the Roadmap, which risks timely implementation by companies. You would think that if you require industry to sink literally billions of Euros in MDR and IVDR remediation (some big companies come close to a billion all by themselves) to raise the regulatory bar that you would make sure that you have the regulatory infrastructure in place. By now I think the authorities’ party line that ’there is a lot you can do already’ has been used up as more and more companies are getting to the point that they have done what is there to do at this moment and are waiting for authorities now to hold up their part of the deal and provide not only for a theoretical legislative framework but a functional regulatory system. The Commission published some very high level transition guidance for companies in the mean time, see here, here and here for MDR docs, here and here for IVDR docs. If the information in those documents is completely new to you, you know it’s time to up your game. c) An extension of the critical dates of 26 May 2020 and 26 May 2022, for legacy products only. I myself am somewhat skeptical about these solutions at a European level (although I completely agree with the ideas behind them), as all of these require changes to be made to the text of the MDR and the IVDR. That can only happen by means of re-opening the legislative procedure for the MDR and the IVDR. That is a procedure that is a) not fast and b) prone to everybody involved trying to change things they compromised on in the first place, which would delay things even more. This can only work if all the institutional actors in the legislative procedure are completely convinced about what needs to happen and completely agree on how this should work. With notified bodies some is good, some is bad and some stuff is downright ugly. Generally speaking not only the manufacturers and authorities underestimated things, but so did the notified bodies. By 30 June 2018 the Commission had received 21 MDR application and 7 IVDR applications. This number may be distorted somewhat because it does not include applications (still) in the national validation phase. However, that phase is short, so the distortion cannot be that big. This is number kind of disappointing if you remember that applications could be made from 26 November 2017 and all Team NB members were very bullish about applying immediately for the whole MDR scope. We currently have 56 notified bodies notified under the MDD, and 21 MDR applications. We have 22 notified under the IVDD, and 7 IVDR applications – with the largest majority of IVDs needing an IVDR certificate under the IVDR. Thus, it seems that a lot of notified bodies were way too optimistic to the point of almost being misleading. Also, applied for does not mean notified for. I hear about the numbers of non-conformities raised in the joint audits, which sometimes take the notified bodies considerabel time to remedy. However, sometimes also the members of the joint assessment team composed of the Commission and member states do not even agree amongst themselves on whether something is a non-conformity and if so, how it should be closed out. Obviously, this does not promote an expedient assessment and notification process. Another complicating factor is that 30-40% of total EU notified body capacity is located in the UK, which has decided to recklessly become its own planet with supposed benefits by means of the Brexit. 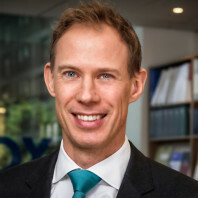 If there is no timely Brexit agreement between the UK and the EU to regulate the post March 2019 period well before end of March 2019 (because the EU and British institutions needs some time to validate any agreement reached), there will be a hard Brexit and this notified body capacity will be lost. A number of the 21 MDR and 7 IVDR applications are UK notified bodies, which means that a hard Brexit will eat into notified body capacity in a dramatic fashion with resulting in even bigger bottlenecks because this capacity cannot be replaced quickly. Manufacturers like to delay their remediation as much as possible, which means in practice a lot of relying on the soft transition period by planning to renew MDD, AIMDD or IVDD certificates one last time so they stretch beyond the date of application – if you’re lucky until 2024 if you can time your certificate renewal close to the date of application (26 May 2020 or 26 May 2022 respectively). The CEO will have moved on and everything will be clear by then right? Wrong, because what happens close to the date of application? Yep – everybody and their mother that is notified body notified for MDR or IVDR will be engaged in work regarding MDR or IVDR certification and will be frantically cranking out those certificates. This leaves no room for work that could have done before: the soft transition renewals. 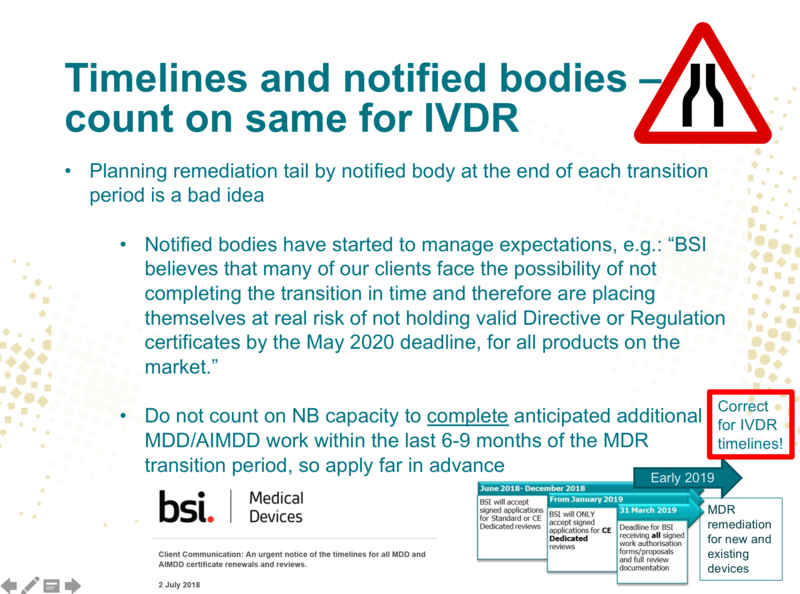 This is why the bigger notified bodies like BSI and TUV SUD have recently started alerting their customers that any soft transition renewal applications must have been handed in by end Q1 2019, which is more than a year before the date of application for the MDR, and that customers cannot expect any recertification work to complete in the period of 9 to 6 months before the date of application. Other notified bodies have started to communicate November 2019 as a date to their customers. Too bad so sad if you planned everything to be handed in by beginning of May 2020 in the expectation of a quick rubberstamp renewal followed by a carefree maximum soft transition period. You may suddenly have to be ready a year earlier and only eight months from now. You are probably wishing now that you started this whole thing earlier. And remember: even renewal for the soft transition is no walk in the park if your technical documentation and QMS are not in excellent shape. I am seeing some naughty commercial behavior on the part of the notified bodies as business model. Since they are often too busy at the moment, some make it into a business model to charge companies double fees to renew a certificate in time after they have moved the audit date back a couple of times themselves because they could not make the audit date for lack of capacity. Or they don’t make the audit date before expiry of the certificate and then charge the company for an extra expensive entrance audit, sometimes with a period in which the company loses market access. Not very nice, this kind of behavior. If, let’s say, the competent authorities for market access for medicines would act this way the world would be too small, but we are putting up with this from notified bodies while forgetting that they exercise delegated state authority (granting CE certificates that give right to market access). That should of course be exercised in accordance with all principles of good government. So when you’re speaking with your notified body, count your fingers every time and don’t take maybe for an answer. It may be an expensive life lesson. Emergo’s Ronald Boumans wrote an interesting and very good white paper on this that I recommend reading. Notified bodies are not your enemy, but lets say that some are more customer friendly than others. I have spoken to several competent authorities about this and they say that this kind of thing should not happen – notified bodies are not allowed to make their problems yours and moreover charge you for solving them, and that they would like to hear about it when it happens. The Brexit process never ceases to baffle me. It’s an epic story of monumental political unpreparedness. It is everything Deadpool would call it, because he would use strikingly colorful metaphors. It’s the Monty Python 100 meters for people without sense of direction because up to this moment the UK still does not fully have its political ducks in a row as to what the UK actually wants from the Brexit – with the two years of transitional period almost effectively over. Even a reversal of the decision to leave is still on the table apparently, may be not even the worst option for the country. The UK is now openly talking about having to stockpile food and medicines (which I assume will include medical devices too) in case of a hard Brexit. It does not have the resources to put in place all the mechanisms and people needed to fulfill all the formalities if it suddenly is not EU member state anymore as a result of a hard Brexit and will not have them by end of March 2019. This, ladies and gentlemen, is what you get if you do not begin with the end in mind and allow politicians that have zero interest in a future beyond their own term in office to run away with the economic future of a whole country based shaky facts at best or outright lies and decades of underselling the economic and social benefits of the EU project. If you don’t agree with this statement, feel free to post a comment. The Commission published a notice describing what a hard Brexit will entail for goods CE regulation but that’s of course not the only thing your company is concerned with. The EU published a recent state of affairs and explanation of the further process. The UK published a White Paper that – in my view – is sitting on the fence of having your cake and eat it: moving out of the internal market for goods, while remaining part of its organization, its agencies and relying on free movement. In the end the best the UK will be able to get out of the whole experiment is mutual recognition of good regulation without influence over its creation. So it will rubberstamp EU law (as it used to do as EU member), but will not have any influence over its creation anymore (while it used to have a lot of influence over its creation). If that’s not progress I don’t know what is. It’s the price you pay for not showing up to vote if there’s a referendum with a populist agenda I suppose. And who knows – it may be best choice ever even if all the facts currently on the table show that it won’t be. A lot of moving parts in the MDR and IVDR implementation machine do not seem to be moving that well, hopefully for the moment only. Manufacturers are advised to not be passive with this going on: plan aggressively and not passively – your core business for the EU is at risk. If you are not informed, make sure that you are. There are many opportunities for the manufacturers that get it right and out-comply their competitors. But these will go to the expense of the manufacturers that get it wrong. From what I am currently seeing happen around me, these seem to be far too many.